This quote by Robin Sharma inspired me to understand the importance of mornings and changed the way I start my days (with powerful routines) so as to make my life more aligned with my goals. If you wish to see a positive change in life, you have to work for it not one day, two days or three days, but every day. And what better way to start your day well than with your mornings? Have you had days on which you started the morning feeling rushed and you were stressed the whole day? What about on the days you got up earlier and did everything calmly and you felt peaceful the whole day? I have experienced both so I choose to wake up early so as to start my day on a happy and peaceful note. It reflects on my mood the whole day. I used to sleep late and wake up late leaving only 30 minutes for getting ready for school/college. My days always started in a hurly-burly way and in a high-stress mode. I always wished to have more time and energy in my day to do everything I love. Waking up earlier seemed to be the best solution for my problem. But I am not saying everyone should become a morning person. It’s a personal preference and your genes play a role in it too. And there are night owls who are successful and have their productivity at its best after the world has gone to sleep. But if you want to become a morning person, there is no reason you shouldn’t. Some studies show that having a gene mutation can make you a night owl. But don’t lose your hope yet. Even if you are a night owl you can learn to be a morning person. Read this article from espressoscience.com for more information. So isn’t getting up early enough, why have a morning routine, you may ask? Let’s see the benefits of having a morning routine. Why should you start a morning routine? A morning routine gives your day a positive start. A morning routine with planned activities will wake you up energetically and gives a momentum to your day that will be carried on to the rest of the day. You can prepare for the day in advance which means no time wasted on decisions and you are at your productive best. If you have ever exercised in the morning, haven’t you noticed how the energy filled up your whole day? The same is with a morning routine. It gives a good start to your day. A morning routine often includes planning for the day and it helps to dictate exactly how your day is going to be rather than going with the flow. When you make time for the morning routine, you are also giving quality time for yourself first thing in the morning. It helps to reflect on your day or life in general. You get undisturbed time to make important decisions and set goals in life. Filling your cup before pouring onto others’ is good for your relationships and overall happiness in life. And also, reflecting and reviewing your goals on a consistent basis are important to keep up with your goals. Increases self-discipline. When you start your day with morning routine you are conquering the first part your day. Self-discipline is like a muscle which gets stronger as you use it. Having a morning routine reduces the stress that usually comes with getting ready for school/work because you are prepared. You have a dedicated time for personal development in your day. When you don’t have a routine as such, it is easier to postpone personal development because it is not a pressing matter when you think short term. How to create a morning routine? You can create a morning routine even if you don’t wake up early in the morning. You can do your morning routine once you wake up if you have time. There is no rule which says our morning routine should be in a certain way. A morning routine is a set of activities that you do to enhance your physical, mental and spiritual well-being. You can create a morning routine that suits your needs and wishes. And you can tweak it to serve your goals. For example, if you want to improve fitness you can include exercise in your morning routine. If a full-fledged exercise routine doesn’t appeal to you or if you don’t have time you can include a 10-minute stretch routine to wake up your body. Here are some ideas to include when you create your morning routine. There are a lot of personal development activities that you can include in your morning routine. 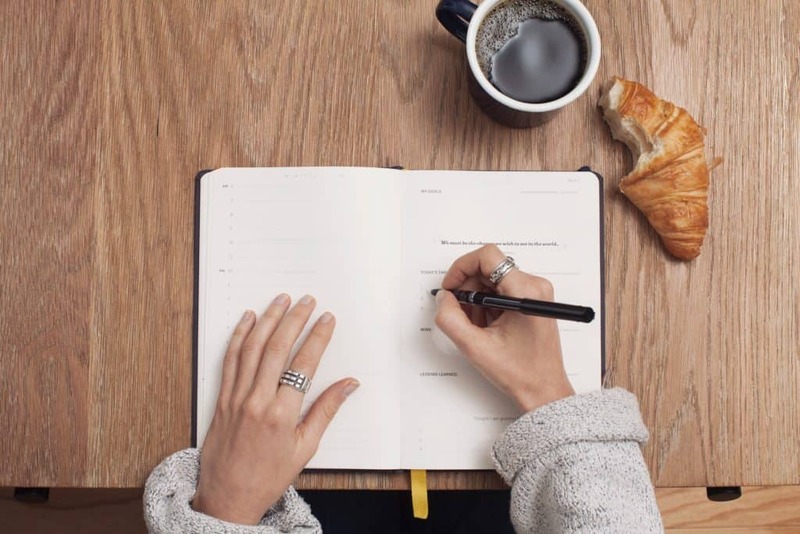 Make a list of what you want to include in your morning routine and calculate the estimated time required to do each activity and adjust your wake up time accordingly. To create a morning routine, it is desirable to start getting up at least 30-45 minutes earlier. It is an estimated time, it depends upon your morning routine and time needed for each activity. According to Hal Elrod, the author of The Miracle Morning, you can create a morning routine which is as short as 6 minutes. Now you can never say you are too busy to work on yourself. 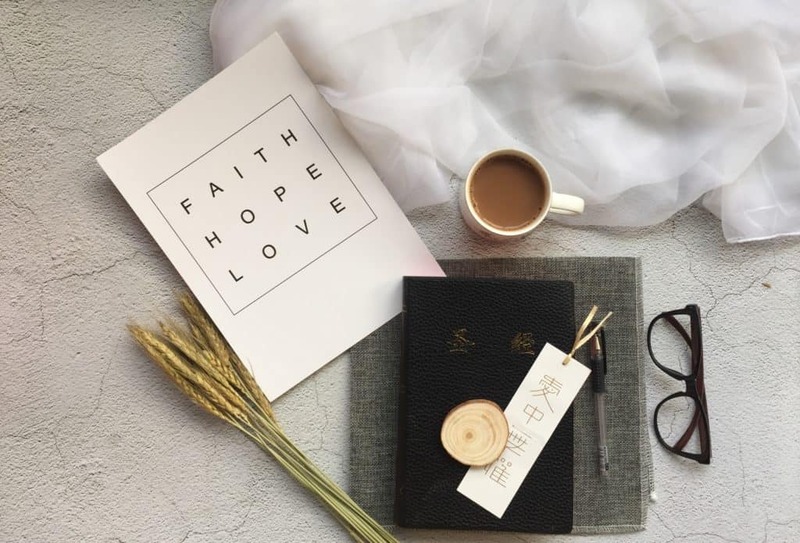 If you follow ‘The 6-minute Miracle Morning routine’, each minute is devoted to these activities: Silence/Meditation, Saying affirmations, Visualisation, Scribing/Journaling, Reading and Exercising. 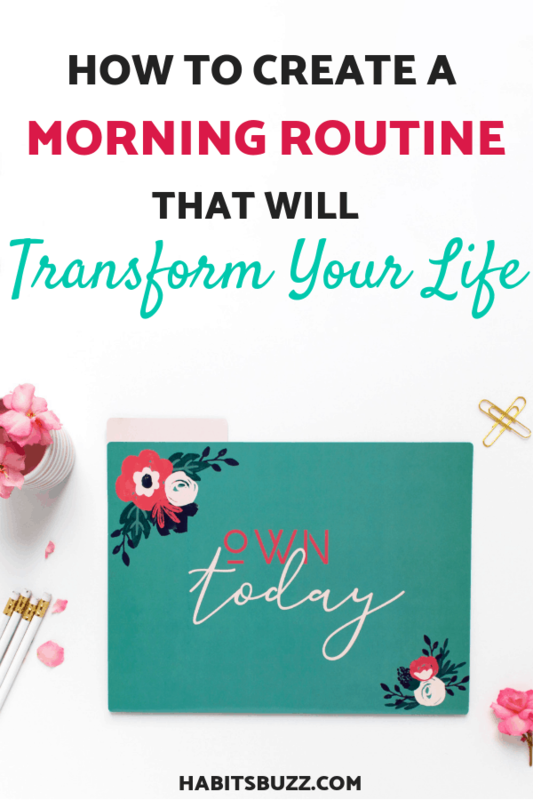 I would devote more than a minute to these activities, but this is a great place to start if you want to start a morning routine. The beauty of this routine is you don’t have to wake up too early to try it out. Once you have an idea what you want to do in your morning routine, try it out for a few days and feel free to add or delete routines that don’t make you feel better or do its purpose. The purpose of a morning routine is to increase your productivity and get a head start for your day. Tweak it according to your satisfaction and ease. One thing that you can’t overlook if you want to create a morning routine is getting proper sleep. An evening routine will help you wind up your day in a way proper rest is assured. Getting quality sleep is essential for your body and mind to work at their best. In short, a successful morning starts the night before. And it is more difficult than ever to go to sleep on time since smartphones came into our lives. If you stay up late till 1.30 am and if you are like most people, you can’t expect to wake up at 6 am feeling refreshed. Therefore, having an evening routine will ensure you get enough sleep and a plan for the next day so that you wake up knowing how you are going to spend the day. An evening routine is essential if you have trouble going to sleep on time and if you spend time scrolling on social media or binge-watch Netflix. Here are some general guidelines you can follow to create an evening routine. A power-down hour will help you to shut off the buzzing brains and sleep peacefully. I know, shutting your brain off from thinking about a pressing matter is easier said than done. I have found journaling helpful in such situations. The minute you want to shut off your eyes, so many things come to your mind that you are not able to sleep even if you feel sleepy. On such nights, I take my bullet journal out and do brain dumping which helps me take certain things off my mind. Trust me, putting it on paper has a magic effect. Sometimes it’s about the things you should do tomorrow. So make your to-do list and get it off your mind. You can devote the time before sleep for relaxing activities like reading, talking to people around you about your day or some kind of self-care activity. Many studies show that the blue light from electronic devices inhibits melatonin production and it alters the circadian rhythm which is your internal biological clock. It affects the quality of your sleep and causes you to feel sleepy and less alert the next day. And poor quality sleep is associated with many health problems like the risk of high blood pressure, heart disease, obesity, and diabetes. Therefore, keep those devices in the next room or out of your reach. The benefit of having a consistent sleep-wake up schedule even on the weekends is, your body gets used to it and it is easier to stick to the habit. After a few weeks, you find it effortless to wake up on time. If possible, leave work in the office and spend time in the evening for relaxing. Checking work emails later in the night keeps your brain active and it interferes with your sleep. Like I said, to create a successful morning routine, start preparing the night before by keeping the things you need in the morning out. Keep your workout clothes and a bottle of water near your bed. Pack kids’ school backpacks and have their uniform ready, all in one place. 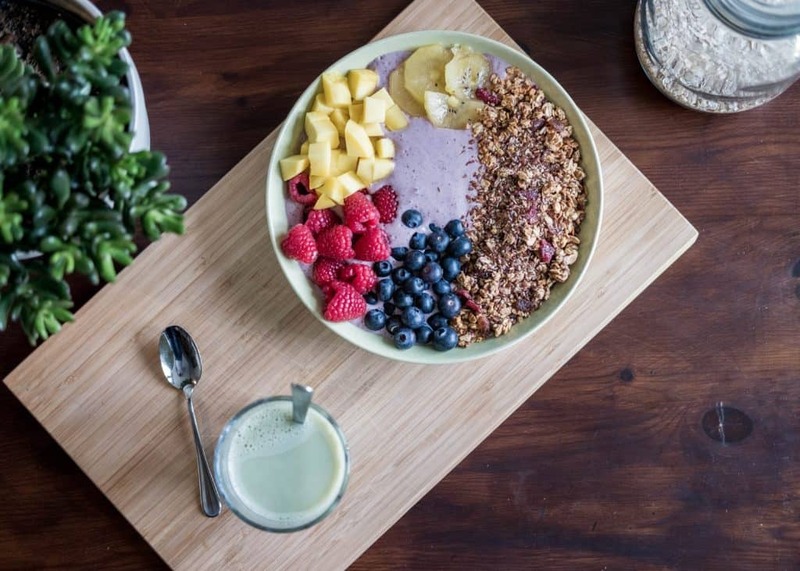 Decide what you are gonna prepare for breakfast to avoid wasting time in the morning. This is my favorite part. Instead of indulging in worrisome thoughts, the last thing before sleeping, think/write about all the things you are grateful for in life and all the things that are “going right” in your life right now. Count your blessings and express thanks for them. You will instantly feel better and sleep in a happy mood. I make my kids do this too before putting them to sleep by asking questions, so as to make them learn to be grateful in life and complain less. Now there are some don’ts when it comes to starting your mornings effectively. Let’s take a look at them. How should you not start your day? Do not start your day by pressing the snooze button. By hitting the snooze button you might get a few extra minutes of sleep but you wake up feeling tired and groggy. You can keep your phone across the room so that you have to walk a distance to switch off the alarm which should wake you up. I know this may not ‘always’ work because sometimes I do go back to sleep even after switching off the alarm. But if I have had enough sleep at night, I wake up feeling fresh with the alarm. That’s one key to waking up on time, getting enough sleep. Always aim for at least 7-8 hours of sleep. And always have consistent sleep-wake up schedule. This helps your body to have a rhythm that naturally wakes you up in the morning, sometimes even without an alarm clock. Most of us tend to start our days by checking notifications on smartphones before even getting out of bed. Since our alarm clocks have been replaced by smartphones, we are more tempted to check our social media apps once we switch off the alarm. The problem is, it’s easy to get sucked down the social media rabbit hole and minutes can turn into hours. It’s the same with emails. When you check emails first thing in the morning, it can take your focus away from the important activities of the day. Because some emails can catch your attention and you spend time reading and researching on them even if they are not urgent. Or there is some flash sale going on and now you have FOMO. All of these can take your focus and time away. I usually reserve time in the afternoon to check emails after my day’s important work is done. So I have enough time to learn new things and act upon the information. You need to manage your energy to stay productive and get things done. Many people do not drink enough fluids and the real reason for feeling tired and sleepy during the day may be as simple as not drinking enough water. Therefore, start your day by hydrating. Drinking water on an empty stomach helps to kickstart your body’s functions. It helps to rehydrate the body after a long period of going without the intake of fluids. It also helps to increase your metabolism and flushes out toxins. And it promotes good digestion and your overall health too. You can read this article for more info. 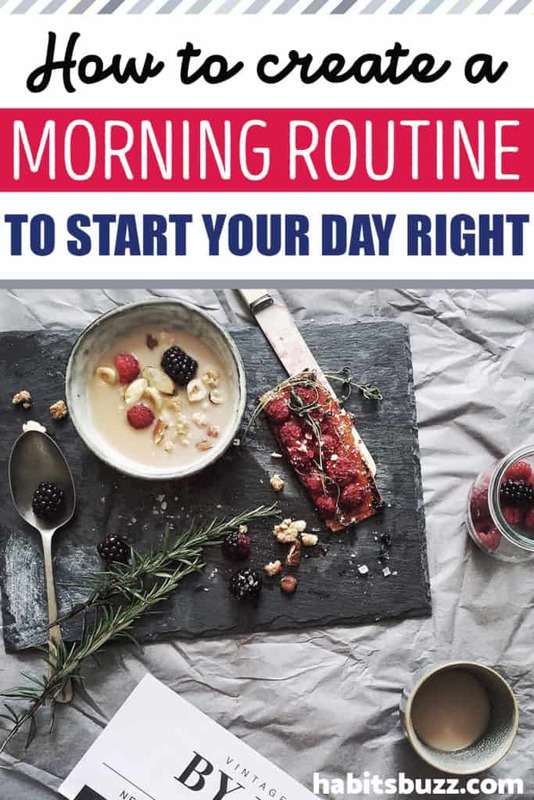 I started having a morning routine a few months ago after reading the book “The Miracle morning” and my morning routine is of course inspired by the morning routine that Hal Elrod teaches in the book. As of now, my morning routine is simple and I keep it simple and short (can be finished in 30-40 minutes) because I want to stick with it and make it a habit first. Journaling, reviewing my to-do list and filling my habit tracker. Simple stretching exercise or strengthening exercise which takes approximately 10-15 minutes. 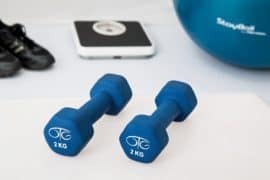 I don’t like doing exercise, but I certainly love how I feel afterward and also I am aware of the benefits of exercise on my health. I am still trying to build the exercise habit. What I have found is that by tricking my brain saying ‘it’s only for 15-20 minutes’ and incorporating it in my morning routine which is a form of habit stacking, I have more chances of doing it than doing a full-fledged exercise at any other time of the day. Also, I am planning to include more healthy habits like having a morning smoothie or green juice. I will update about it in the future hopefully through a blog post. When you create a morning routine, of course, the challenge is to stick with it. When starting, you can keep it simple and short by allotting only a few minutes for each activity. Later on, you can increase the time duration and reap even more benefits. 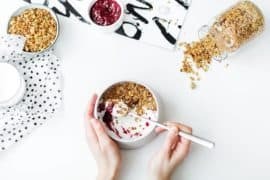 I hope you got enough information to create a morning routine from this article. Have you tried to start a morning routine? If yes, what are the challenges you have faced? Please let me know about it in the comments below! Honesty, I loved reading the article. This has inspired me to re-start my morning and evening routine. Love to know more about the visualization part and about the vision board in the bullet journal. Go for it Jijen! Visualization is seeing in your mind. Close your eyes, relax and imagine yourself having achieved your goals as vividly as possible. You should be able to feel the excitement you will feel when you have achieved it. Having a vision board is collecting pictures of your dreams from various sources, like travel destinations or your dream job and pasting them on the vision board. You keep the board somewhere you can see on a daily basis. And when you look at the pictures, you feel happy and emit positive vibrations to the Universe. It also keeps you motivated. 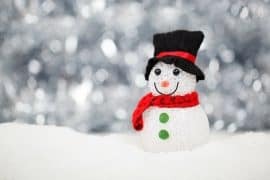 These are all techniques of Law of Attraction. I used to have a vision board in my bullet journal. Now I have a board on Pinterest to pin the images.